I am doing a PhD at PMMH with Damien Vandembroucq and Emmanuelle Gouillart. To contact me, go there, to read my publications, go there. 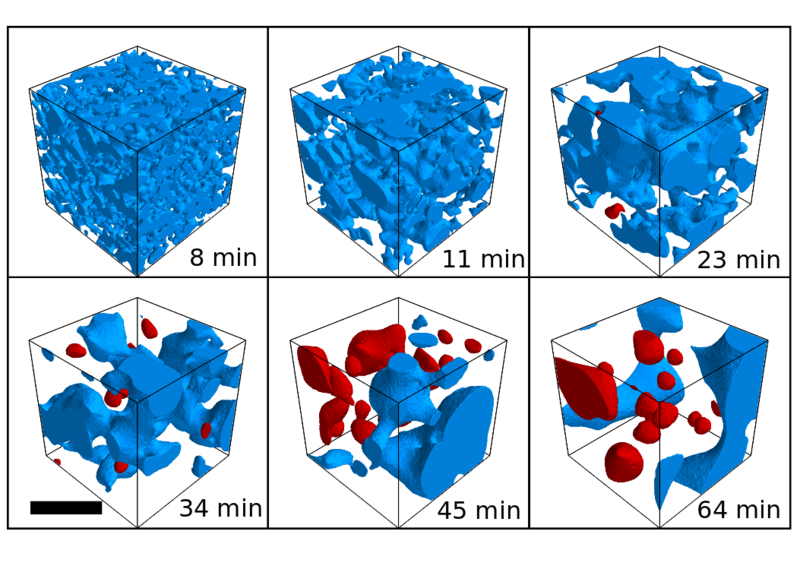 We use X-Ray tomography to observe the phase separation and coarsening of a barium boro-silicate glass. The experiments are performed at the ESRF, where we observe in situ the coarsening. After a few steps of image processing, we can measure some geometrical and topological characteristics of the domains : volume, surface, local curvature, connectivity. Below a visualisation of the coarsening, the scale bar is 100 microns. We study a toy model for the plasticity of amorphous materials. Local plastic deformations trigger an elastic interaction with the whole matrix. 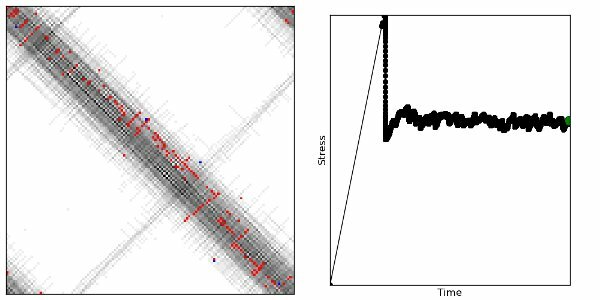 We follow the (slow) dynamics at finite temperature with a kinetic Monte Carlo algorithm. 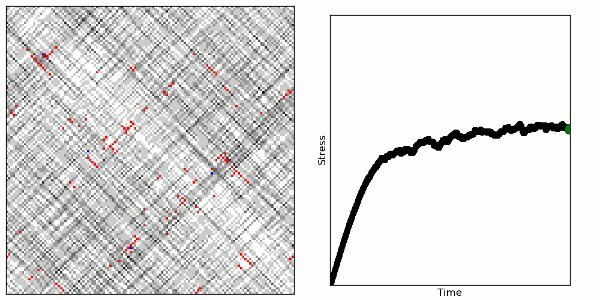 We can fot instance test the influence of aging at finite temperature prior to impose an external stress: after aging, the deformation can be localized in shear bands. Below : cumulated deformation fields, and stress as a fonction of time, at constant shear rate.